This one-two combo of praise is made all the more mind-cramping by the fact that he gave the original Matrix only three stars, making it respectively more disappointing and on par with its two largely inane sequels. Admittedly, Ebert is pretty transparent when it comes to what he likes about these movies, even saying that his “admiration for The Matrix Revolutions is limited only by the awkward fact that I don’t much give a damn what happens to any of the characters.” And that seems to be the quasi-demotivation behind these reviews, as he calls Reloaded an immensely skillful sci-fi adventure, glorifying its action sequences and the Wachowskis‘ choice to use many black actors and actresses, while he compliments Revolutions for its female characters and the marriage between live action and special effects. 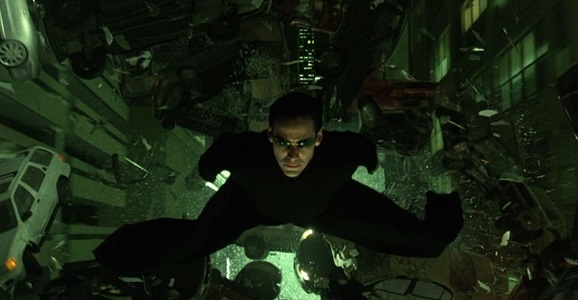 Thankfully, he, like many of us, freely admits that the jumbled logic of the trilogy is a problem, though Ebert is able to remove himself from that to just enjoy Neo flying around and Morpheus waxing poetic.